Softaculous is the installer which for apps like WordPress, Joomla, Drupal, Magento, etc with a single click of a button. 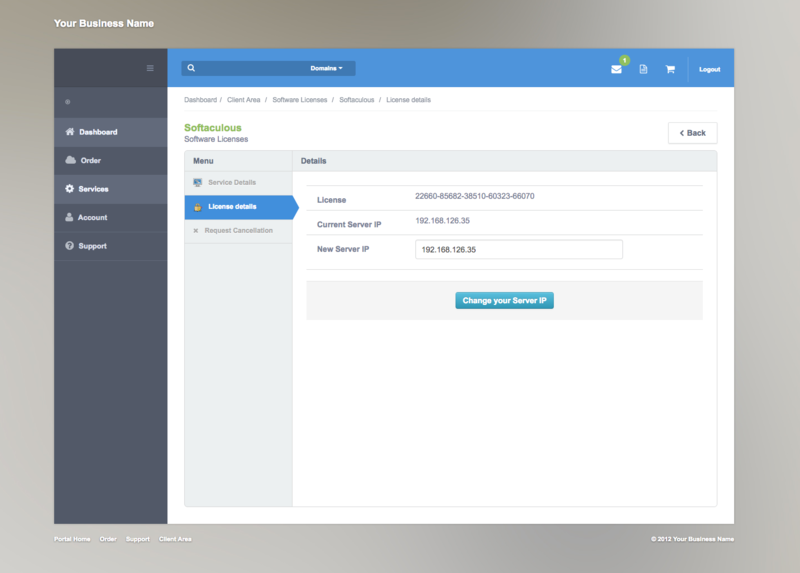 Softaculous Licenses module for HostBill will help you become Softaculous Licenses reseller and provide quick and efficient automatic license provisioning and renewal throug Softaculous NOC API. 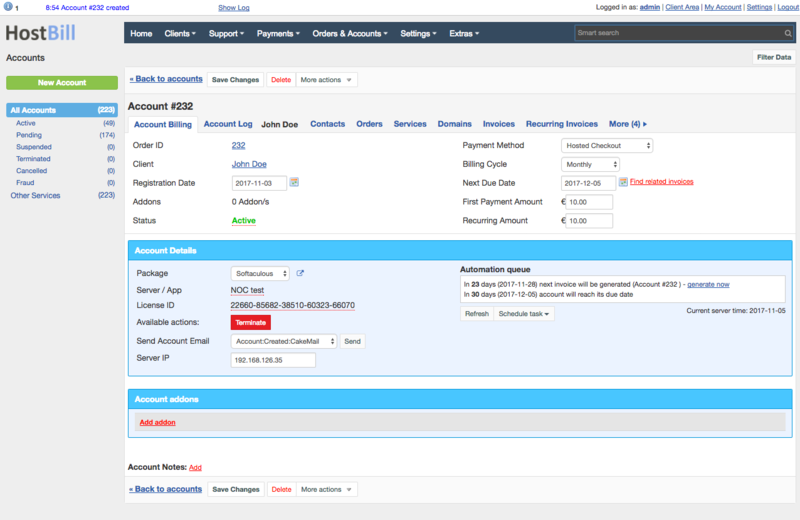 The well-developed admin panel provides access to billing, account lifecycle and client area functions management.